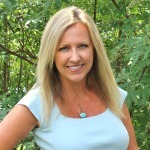 Hello…. aren’t I the cutest little reindeer ever? My profile is quite stately, if I don’t say so myself. 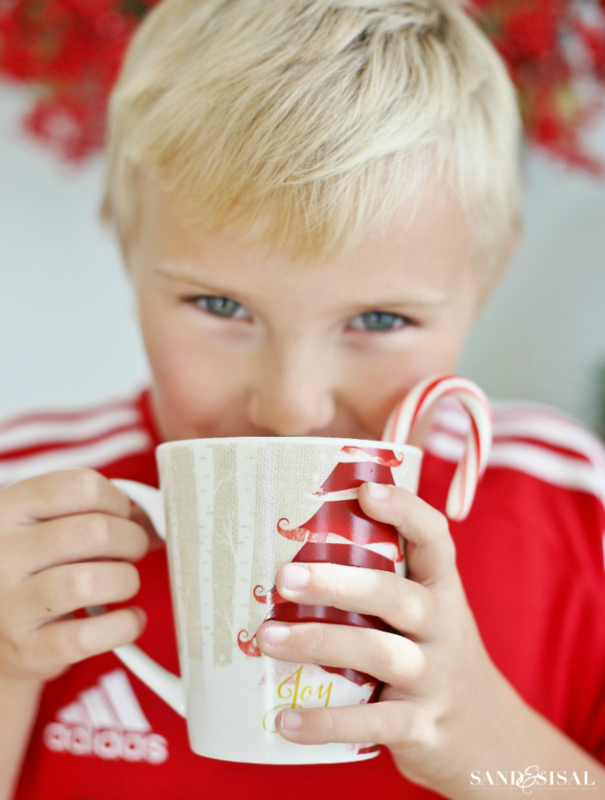 This weekend the boys had several soccer games and Ms. Kim thought that she’d surprise them when they got home with a fun Christmas Cocoa and Donut Bar. I’m watching over things ’til they arrive. 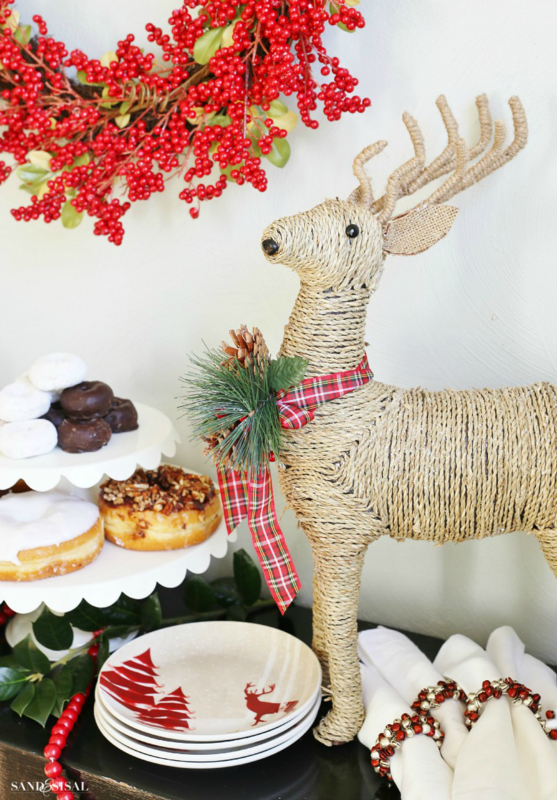 The decor is merry and bright! 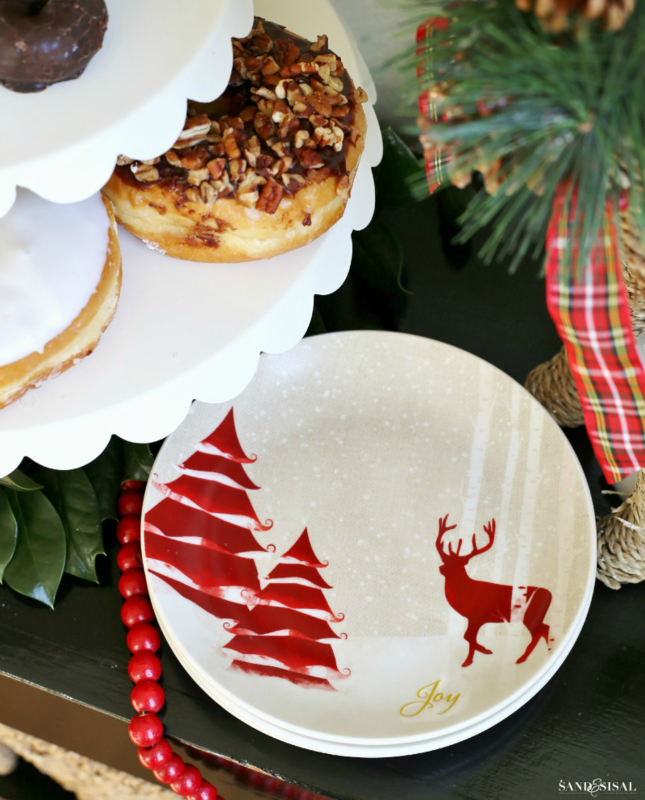 Those toasted pecan topped chocolate glazed donuts are looking mighty fine too… especially paired with these adorable reindeer dessert plates (modeled after yours truly). 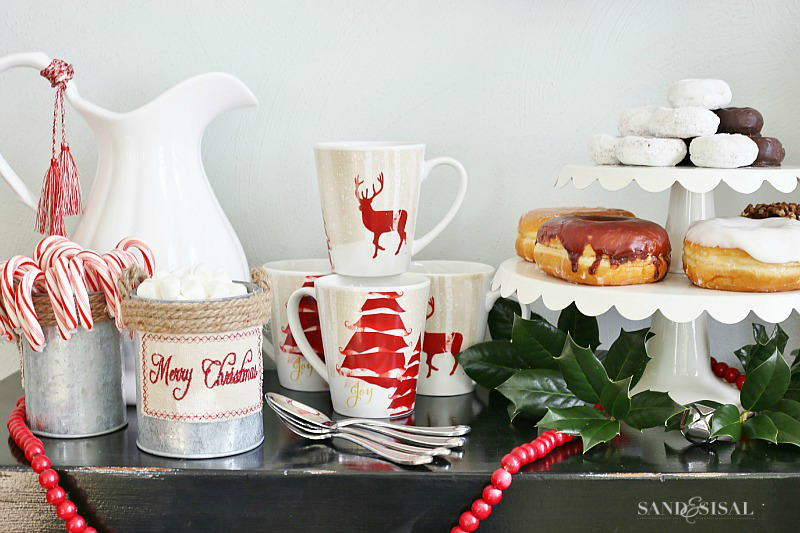 Every Christmas hot cocoa bar should have a few mandatory items… like donuts. 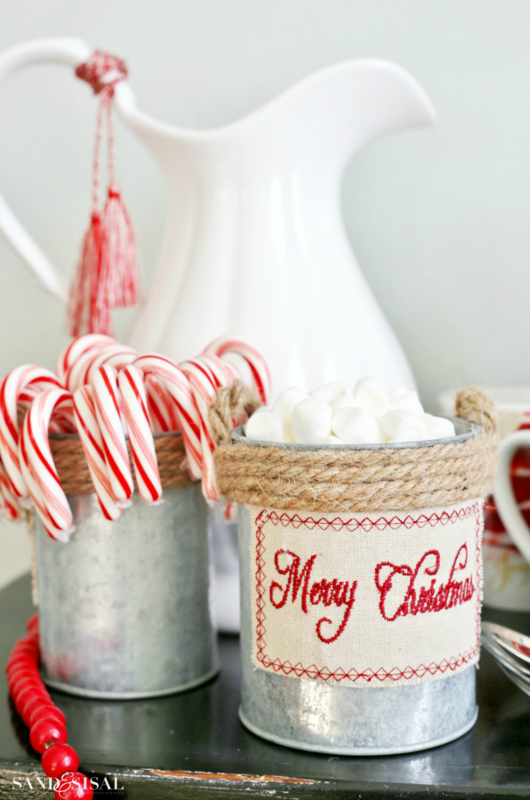 Ok, ok, it needs cute little rope handled, galvanized pails stuffed full with fluffy marshmallows and sweet candy canes too. 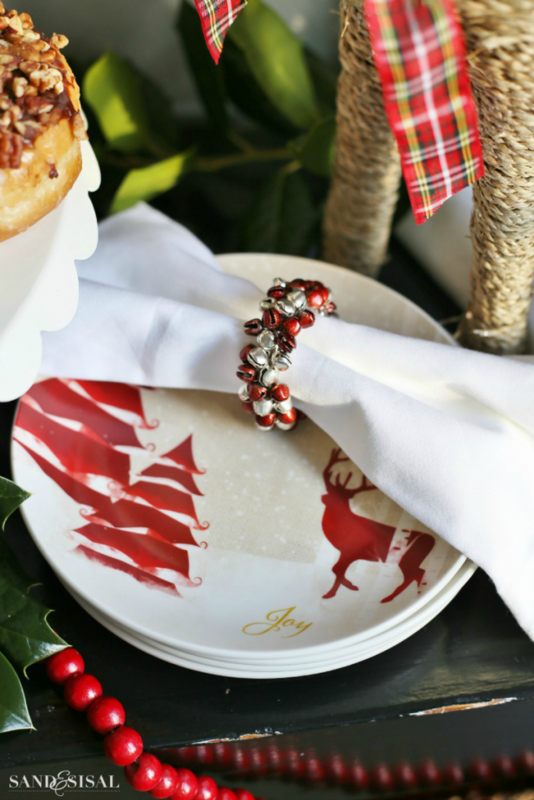 And to wipe off all that delicious powdered sugar and chocolate, some soft cloth napkins wrapped in shiny jingle bell napkin rings will do the trick nicely. The boys just arrived! Oh to see their happy faces! 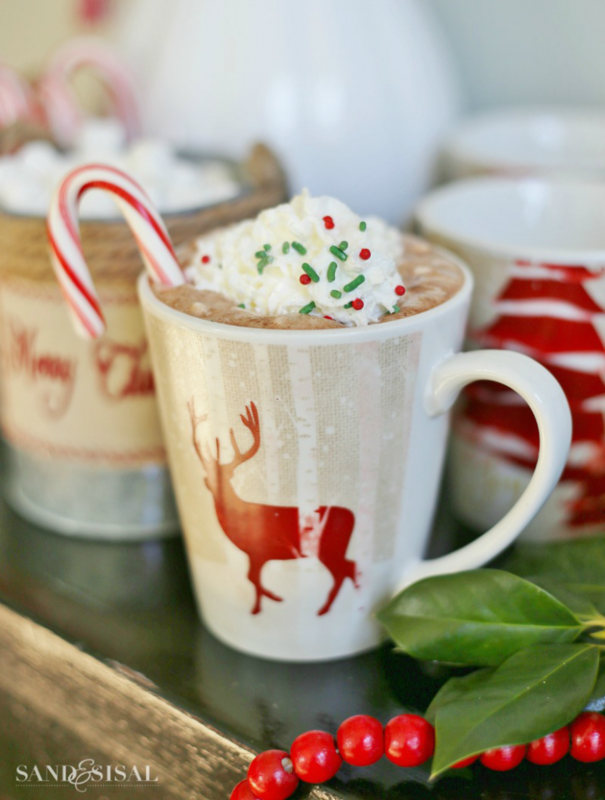 Steamy, rich hot cocoa fills the reindeer mugs and fluffy whipped cream floats on top with a shower of festive sprinkles. 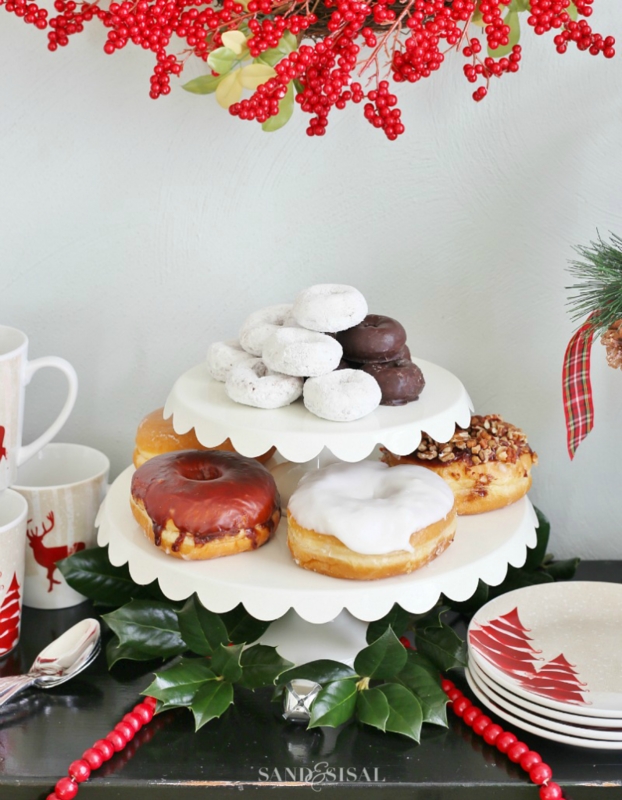 Yep, I think the word JOY sums this Christmas cocoa and donut party up! 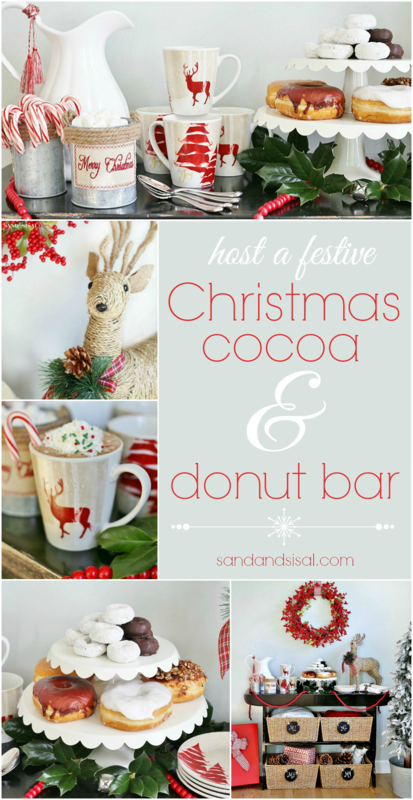 You can surprise your little ones (or big ones) with a Christmas Cocoa & Donut Bar too! 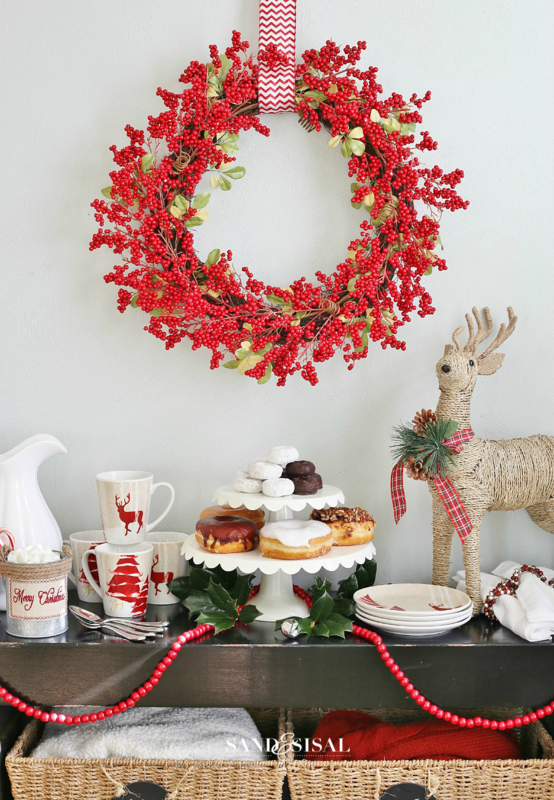 Head to At Home, the decor superstore where you can find these At Home Christmas Decor items and more for everyday low prices: berry wreath, peppermint chevron ribbon, cranberry string garland, rope handled galvanized pails (Holiday Hoedown collection), sisal reindeer, reindeer (Forest Fairy Tale Collection), Gibson dessert plates & mugs, cloth napkins, jingle bell napkin rings, large scented pinecones, and jingle bells. 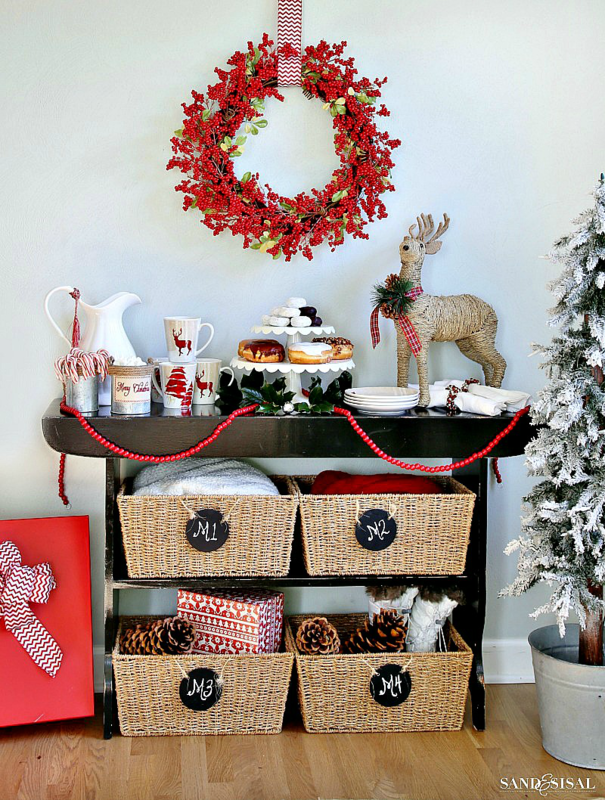 With over 15 different holiday decor themes, there is something for every decorating style. In the market for new artificial Christmas Trees? At Home also offers 101 Varieties of Christmas Trees. Check out their Tree for Me collection. This is so cute! I love how festive it is. That deer is adorable. 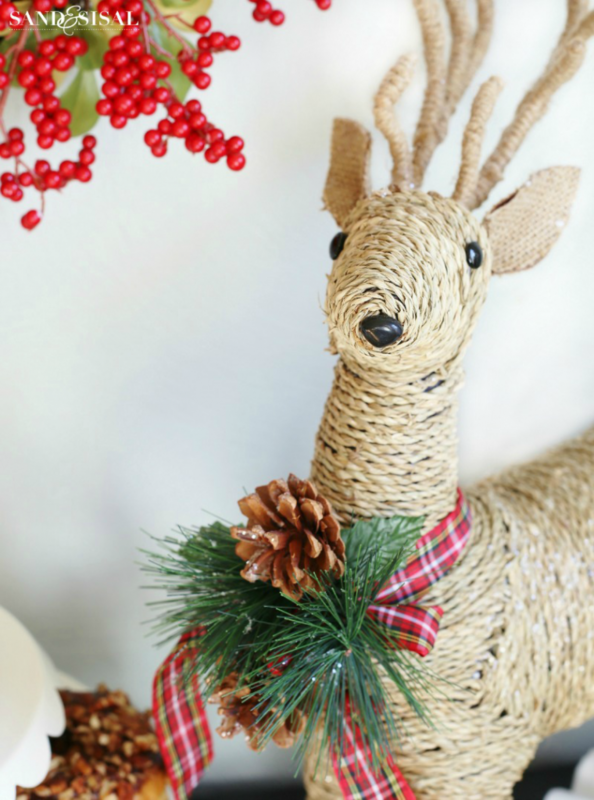 I have a darker wooden reindeer I bought several years ago that would look so cute in a set up like this. Thanks for the inspiration.